Click to view: Honda Hornet 600 owners reviews, specs and image galleries. Cheap doesn’t have to mean nasty. 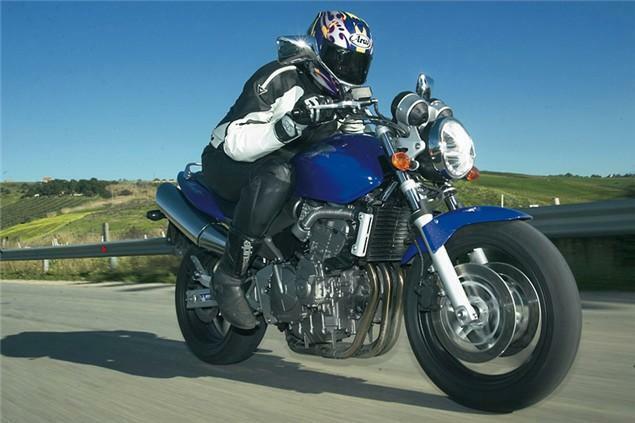 In fact the Honda Hornet 600 offers one of the highest fun per pound ratios of any bike you can buy on the used market. But there’s more – it’s a durable, capable, useable workhorse or commuter too. Released in 1998, it’s a winning mix of Honda’s old but extremely well proven CBR600F engine in a basic but effective chassis. It only had minor updates for the first eight years of production, has sold huge numbers all over the world and has a massive, almost cult following. It’s one of those machines that belies its price tag and components.